Importing your monthly supplier statement has the added benefit of listing each item separately with additional purchase information loaded into the Description field. All you need to do is allocate a category and extended code to each line. 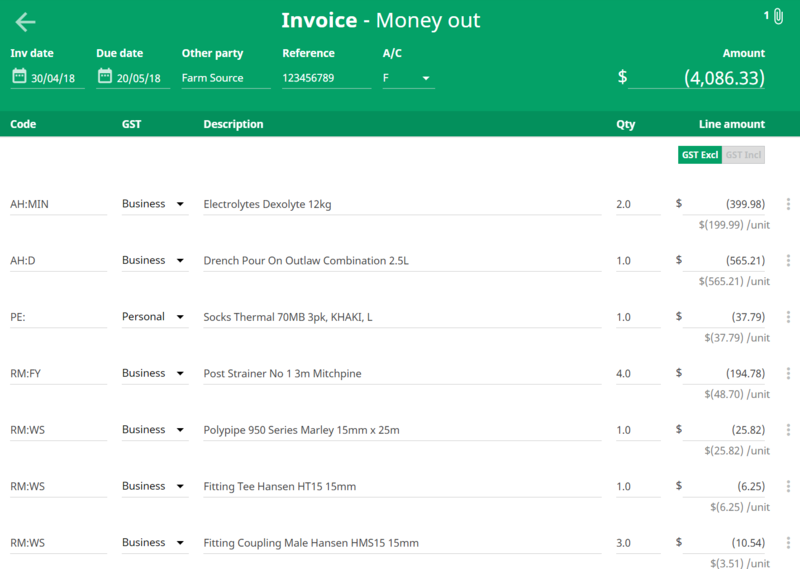 TIP: so that your coding is accurate and consistent, try creating some time-saving invoice coding rules. NOTE: Before you can import the Farm Source monthly statement or PGG transaction list, you need to download it from their website first. Go to the Actuals screen in your farm business. Click on the upload arrow in the top right corner of the screen. Select Supplier Invoice. 3. Locate the file on your computer or tablet. 4. Click the import button to bring the file into the Actuals screen, ready to code.